SVRy log train. Note on back of photo: "A Jack Eng reprint from the booklet of about 1897 of Floyd Carpenter's. A Brooks Hawley promotion in 1963. 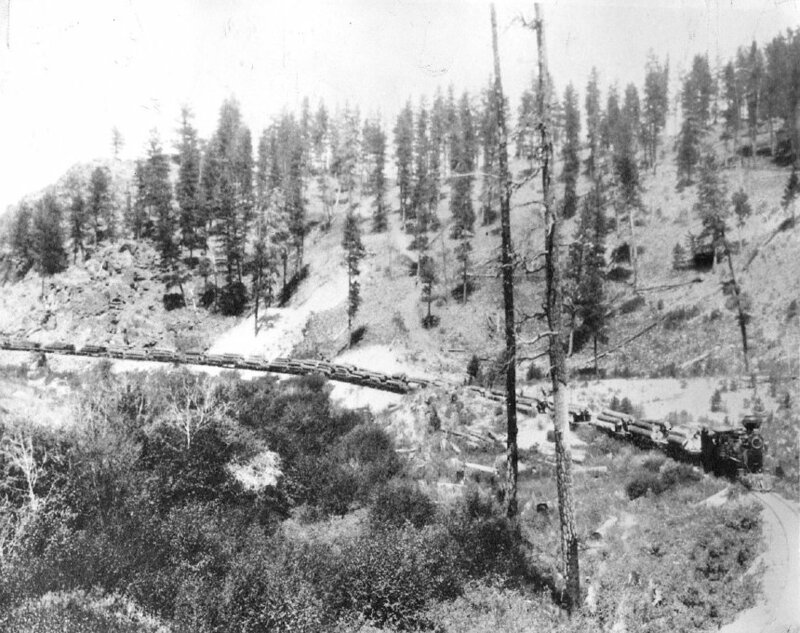 Train of logs on Sumpter Valley Railway just below Boulder Gorge. Gallery #4--TRANSPORTATION & FOREST INDUSTRY. -SVRy log train.